Congress lawmaker Ranjeet Ranjan said Yadavs and some other castes were being targeted in UP. 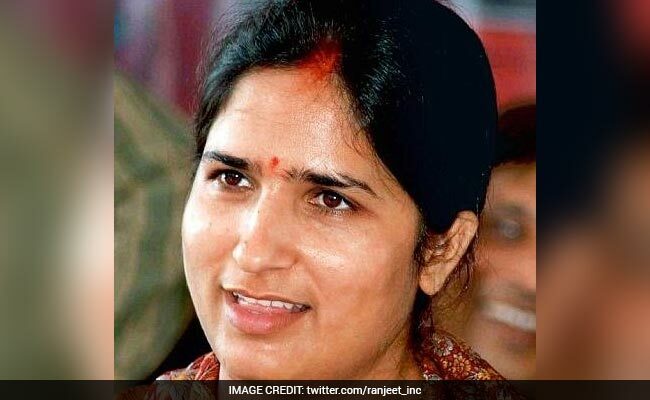 New Delhi: Congress member in the Lok Sabha Ranjeet Ranjan on Thursday said Yadavs and some other castes were being targeted in Uttar Pradesh, and questioned the anti-Romeo squads formed in the state. "An IPS officer has said, a particular caste is being targeted. The way hatred is being spread against Yadavs, Muslims and Dalits in Uttar Pradesh, it is against our Constitution," said Ms Ranjan, raising the issue during the Zero Hour. Home Minister Rajnath Singh, however, assured the member that there will be no discrimination on the basis of caste in the state. "It has been just two-three days since the government has been formed. There will be no discrimination on the basis of caste, creed or religion," Rajnath Singh said. "That is what the Chief Minister (Yogi Adityanath) has said. There will be no discrimination," the Home Minister said. Himanshu Kumar, a 2010-batch Indian Police Service officer attached with the Director General of Police's (DGP) office in Lucknow, said in a tweet that those with 'Yadav' surname were being targeted. He deleted his tweet later. Ms Ranjan also slammed the 'anti-romeo squads' that have been formed in Uttar Pradesh after the assembly polls. "I am not saying I am not against vulgarity, but what gives them the right to stop boys and girls from being together," he said. The lawmaker said, "Even brother and sister going together are being seen with doubt. Is it a crime to love? Is it a crime now to be girlfriend and boyfriend? Will the government decide how to sit in a park?"